Abstract: In recent years, therapeutic antibodies have shown an increasingly broad application prospect. However, due to the production of human anti-mouse antibody (HAMA), its application is greatly limited. The emergence of antibody library technology provides a new way to solve this problem, providing an effective way for antibody acquisition of various immunogens including autoantigens. Antibody library technology is a major advance in the field of antibody engineering in the 1990s. It emerged from the development of three major technologies, namely PCR amplification technology, optimization of E. coli expression system and phage display technology. In particular, phage display technology is an important prerequisite for the implementation of antibody library technology. This article will mainly introduce the development of technology related to Fab antibody and antibody library in recent years. Let me reveal the mystery of it! 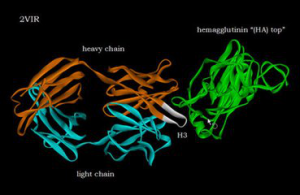 What is a Fab Antibody? The antibody can be hydrolyzed into two Fab segments and one Fc segment by a proteolytic enzyme such as papain. Antibody fragments are sometimes very useful, and because of the lack of an Fc segment, the Fab segment does not precipitate with the antigen and is not captured by immune cells in vivo studies. Because of the small molecular fragment and lack of cross-linking function, the Fab segment is commonly used for radiolabeling in functional studies, while the Fc segment is primarily used as a blocker. 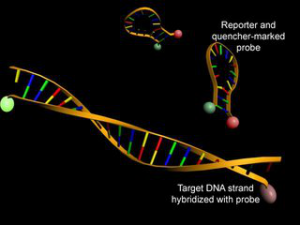 PCR is an in vitro rapid enzymatic amplification technique that directs the specific primers complementary to the ends of the target sequence by simulating the natural replication process of DNA. Currently, this technology has been widely used in many fields such as academic, industrial, agricultural and medical fields. The factors affecting the results of the PCR experiment are very complex, including: the length of the target sequence DNA, the PCR reaction system and conditions. The annealing temperature is a temperature parameter when the primer and the target sequence are combined. If the annealing temperature is too low, the primer and the target sequence are mismatched, causing non-specific amplification, and the annealing temperature is too high, which may increase the specificity of the primer and the target sequence. The difficulty of combining, thereby reducing the amplification efficiency, how to determine the optimal annealing temperature to ensure efficient specific amplification has become a key point of PCR applications. TouchdownPCR (TD-PCR) has designed a series of connected multiple cycles of continuous annealing temperature reduction, which is a technology that has the potential to achieve optimized amplification in one step. TD-PCR can achieve the phenomenon of reducing or avoiding the false positive of common PCR. It can be applied to the amplification of common PCR products without product or non-specific products, and the inability to select complex template amplification and comparison for appropriate annealing temperature. Phage display antibody library technology is a new technology for simulating the preparation of antibodies by natural immune selection system. It uses genetic engineering technology to express foreign proteins (antibodies, antibody fragments) on the surface of phage. This technology not only obtains specific phage display. An antibody library or an antibody fragment of interest (small molecular weight antibody), and a gene of the antibody is obtained. The diversity of the antibody library (capacity) is a key indicator for measuring the phage antibody library. The larger the storage capacity, the greater the chance of screening the antibody from the library, and the storage capacity is directly proportional to the affinity of the obtained antibody. A sufficient number and diversity of antibody genes directly affect the size of the reservoir. Antibody-drug conjugates (ADCs) are one of the current trends in antibody applications. At present, although ADC drugs are mainly full-length antibodies, the larger the drug molecules, the more difficult it is to reach the deep part of the solid tumor through the capillary endothelium and through the extracellular space of the tumor. Based on the above-mentioned shortcomings, miniaturization or moderate miniaturization is an important way to develop ADC drugs, such as scFv and Fab genetically engineered antibodies, which are receiving more and more attention and application. Such antibodies retain the ability to specifically bind to antigens due to the inclusion of intact antibody variable regions, and because of their small size, they are easier to prepare in different forms of safer vaccines and pharmaceutical preparations with other drugs, and more. It is easy to obtain antibodies into diagnostic reagents in a relatively economical manner. The study found that anti-keratin antibodies have a good application prospect for the treatment of psoriasis. Four anti-keratin human Fab antibodies were screened by antibody library technology, which had good binding activity with keratin and inhibited the proliferation of keratinocytes. Affinity is an important biological parameter of antibodies, and therefore, evaluation of antibody affinity is very important in the screening of antibodies. Biosensors are a new technology for monitoring the interactions between biological macromolecules in real time. By means of this technique, the equilibrium relationship between the anti-antibody binding dissociation can be dynamically observed, the affinity of the antibody can be determined accurately, and the epitope can be recognized to understand the characteristics of the monoclonal antibody. It can purposefully screen a variety of monoclonal antibody with the best application potential, saving time and effort compared with conventional methods, and the results are more objective and credible. This technology has been widely used at home and abroad.